Steve Hoefer can't stop you smashing your thumb, but he can help ensure you pick the right tool to smash it with. Hammers are the literal blunt instruments of the construction world. They can be used to build or destroy, shape precisely or demolish definitively. And picking the wrong one for the job can cause the latter instead of the former. While they look and work the same, the differences are important. The best shape, weight, and material of head depend on what you're hitting and why. Narrow heads deliver the entire force of the blow into a small area, broad faces spread it around. Longer handles allow more powerful swings, shorter allow more control. Wood handles absorb some of the vibration but can break, steel handles are durable but can be a literal pain to use. Fiberglass and other composite materials are durable and comfortable, but cost more. Always use a hammer that you can control. Keep your eye on where you want to strike and not on the hammer. Let the weight of the head do most of the work. If you can't hit the same spot twice in a row you're out of control, and that can damage things and break bones. Use a hammer with a lighter head or grip the hammer closer to the head for more control. Unsurprisingly the most common hammer is the most versatile, though it's primarily for driving nails and light demolition. A small flat head puts all the force of the swing into a small area making it best for driving nails. Opposite the head is a split claw that give it its name. The claws come in two basic shapes, a hooked version for pulling nails, and a straighter "rip" version for prying (or ripping) boards apart. 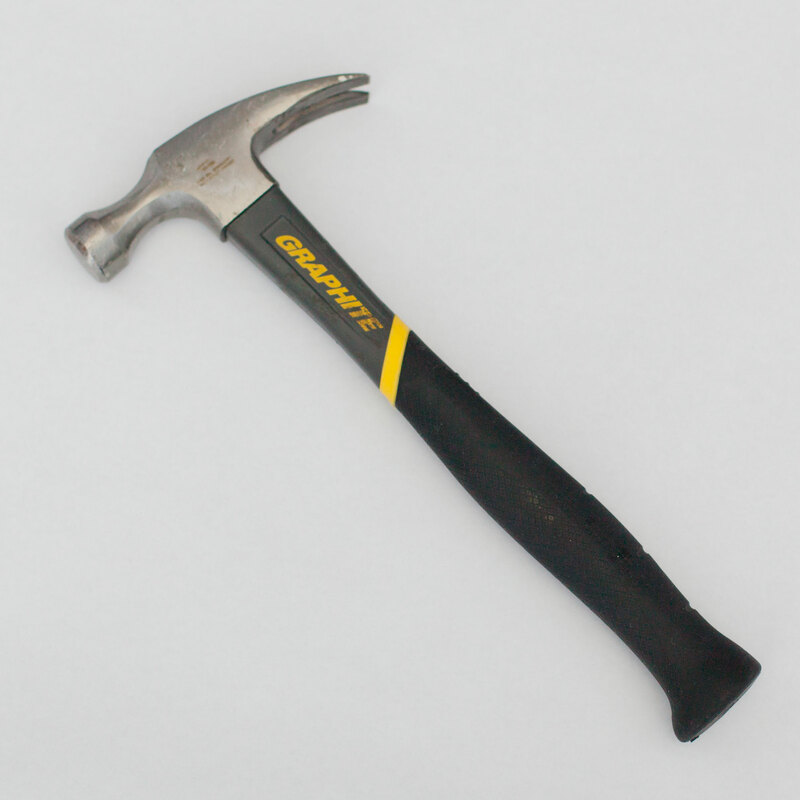 Standard claw hammers come in weights from 8 to 16 oz. Framing hammers, used mostly in construction, have head weights from 20 to 32 oz, a longer handle for more power, and a rip claw. Heavier heads and longer handles give a more powerful blow, but it's also harder to control and can wear you out faster. Swinging a hammer when tired is a danger to everyone around. Choose a the heaviest weight that you can control easily. 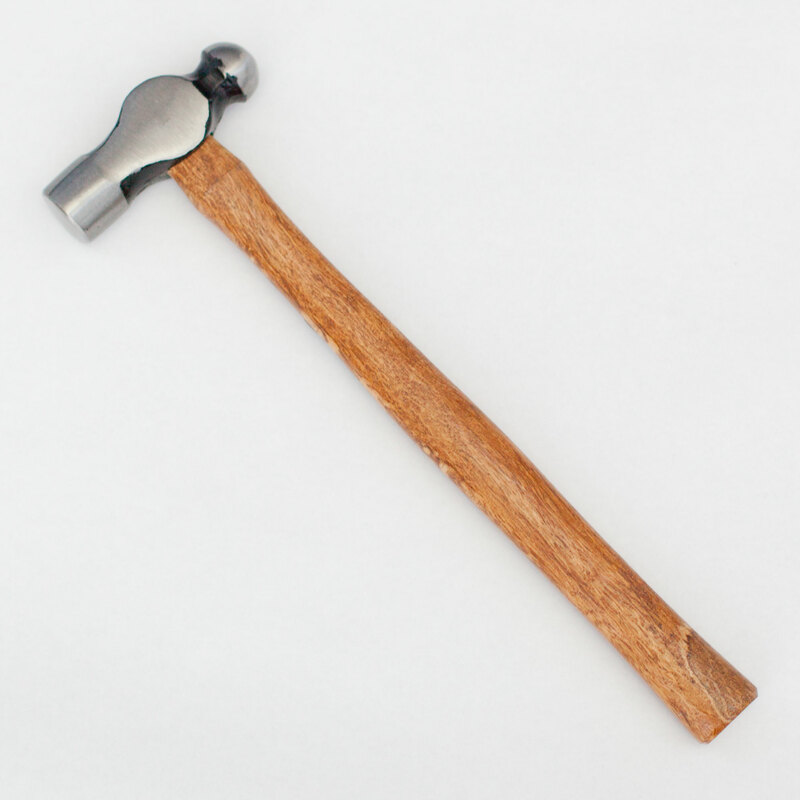 Cheaper claw hammers come with wooden handles, which are reasonably comfortable but are the easiest to break. (But they can also be easily replaced.) For more comfort and durability get one with fiberglass or composite. For maximum durability, steel handles. Framing hammers often have steel for the top half of the handle to give a more powerful swing and increase durability. Good general purpose hammer for most domestic hammering needs. Can both drive things together and pry them apart. Lots of different variations makes it easy to find a comfortable size and weight. Easy to damage materials (or fingers) with a wild swing. Or even an accurate one. Driving nails, removing nails, and light demolition. The "peen" is the name of the side of the hammer head opposite the face. Claw hammers have a claw back there, but ball-peen hammers have a round ball. They come in similar sizes and weights to claw hammers, but since they're often used to shape metal the heads are made of harder steel than claw hammers. The round head stretches and shapes metal better than a sharp head which can causes creases and tears. Rounded end good for getting smooth shapes on steel. Small head applies a lot of force to a small area. Not as versatile as a claw hammer. Rarely used outside of metalwork. Shaping sheet steel, pounding out dents, and rounding off rivets, and striking steel chisels and punches. While the heavy head makes it famous for smashing things, the broad face makes it possible to hit things really hard without destroying them, like when driving wooden posts. It's a really big hammer. Hard to control, easy to smash things that don't need smashing. Destroying masonry, plaster and drywall. Driving stakes, posts, and railroad spikes. This family of hammers has many names but they all boil down to a single handed sledge. They have a large flat head with a 1 to 8 pound head and a short, single handed handle. 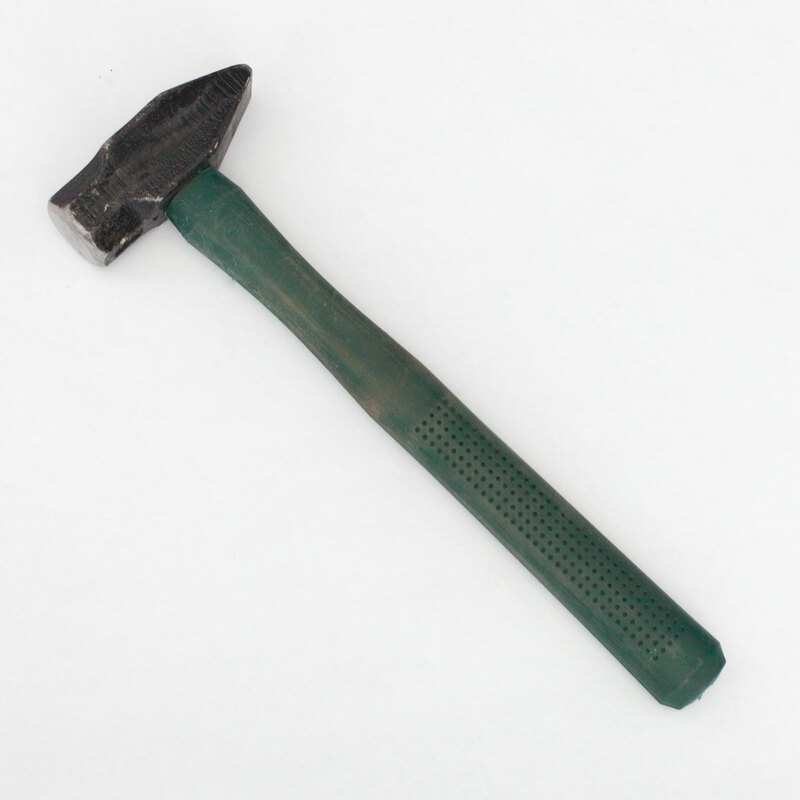 Blacksmiths hammers are essentially the same thing, but have a cross peen for shaping steel. More control than a sledge. Shorter handle lets you use it in confined spaces or while stabilizing the material with your other hand. Less precise than smaller hammers. Less power than a full sledge. When you want to hit something very hard but need more control than a sledge. Light demolition, shaping metal, driving stakes, posts, or wedges. 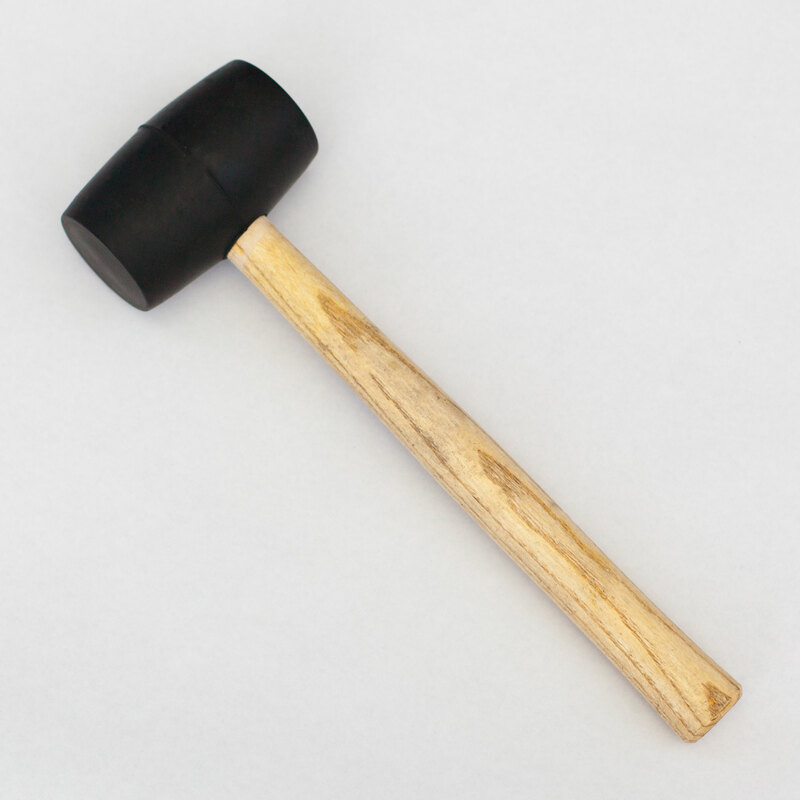 Mallets and other soft hammers are fundamentally different than other hammers. Instead of being as hard as possible, mallet heads are soft to minimize damage to whatever you're hitting. They have a broad face so they spread the force over a wide area, and are made from materials softer than steel. When choosing a mallet, choose one that is softer than what you're hitting. Rubber is the most common, but brass, plastic, rawhide and wood are all popular. Because mallet heads are soft they will wear out. Some mallets have removable faces, making it cheaper to replace and allowing you to swap in harder or softer faces deepening on what you're working on. To solve the problem there are dead blow mallets with hollow heads filled with lead or steel shot. This reduces bounce by putting all of the blow into the strike. Can pound on things without damaging them. Some have interchangeable faces for working different materials. Useless for driving nails. Not as heavy as other hammers. Can wear out quickly. Forcing joints together, driving wood chisels, forming sheet metal, working on soft metals, sitting dowels or stone. There are more kinds of hammers than I can list. They're made for working with shingles, tacks, drywall, rocks, bricks, glass, and more. They might be made of copper to prevent sparking, have a magnet to hold tacks, a hatchet to shape wood, or a notch to cut twine. They look interesting but are typically only good for the task they were designed for, so avoid them unless you know what you're getting into.